A few years ago I had heard of a good gold prospecting location on the Wild Ammonoosuc River in New Hampshire from a old prospector that I had struck up a conversation with in Maine while I was prospecting on the Swift River. 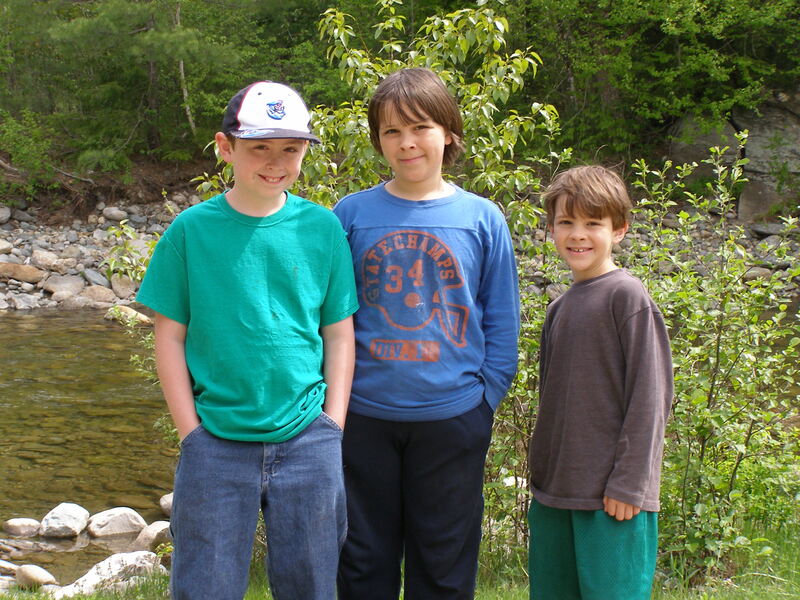 He had mentioned that the gold was plentiful, Twin River Campground was right on the river. So you know as soon as I got home I had to check it out, it looked good. New Hampshire requires a dredging permit so in the beginning of the year I applied for one and sent them a check for $50.00. I received it in the mail exactly a week later which I thought was very good. I thought that it would be great for Doris, Charlie and I to get away for the weekend. I booked a cabin by the river for the weekend before Memorial Day. I found out that some of the guys from Northeastern Gold Prospectors were going to be there and I was looking forward to meeting them in person. I always like meeting people who share the same passion for gold prospecting as I do. The ride was pleasant and the weather was great, it was much warmer than I expected. The campground was easy to find. 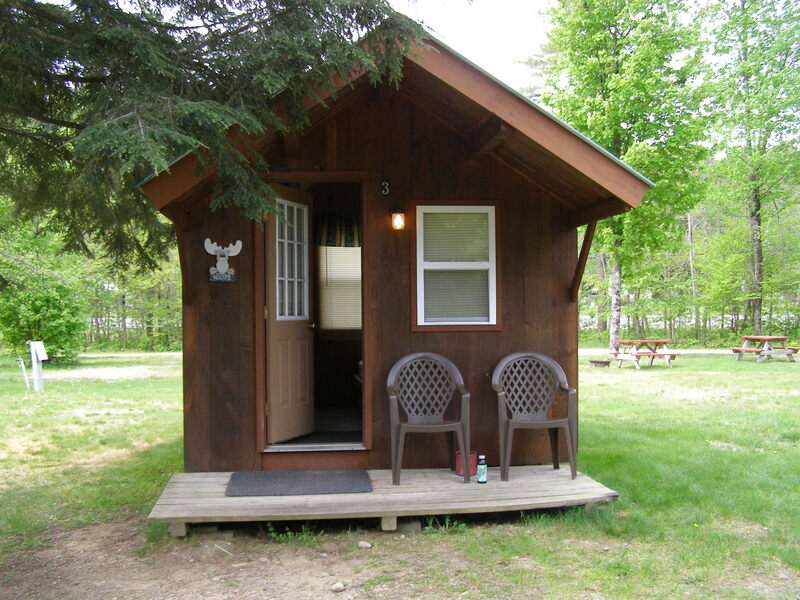 We arrived and checked in, if you plan on dredging they make a copy of you dredge permit to keep in the office, we went to our cabin which was across the road from the office and it was right on the river, I could throw a stone from the door of the cabin and hit it. At the campground you can pan or sluice only, the campground owns property on the river not even a quarter mile up the road in which you can dredge and there is plenty of space, as I understand they own about a mile along the river. I unloaded the Jeep, Doris made the beds up, you have to bring your own linen for the cabins. I brought my Pyramid Pro Pan with me that I had gotten for Christmas, I was just itching to try it out. We got back into the Jeep and headed up to where I would be dredging. I wanted to do some test panning to see where I would set my dredge up the following day. The Pro Pan worked great for this because I could process a 5 gallon bucket in a relatively short time. 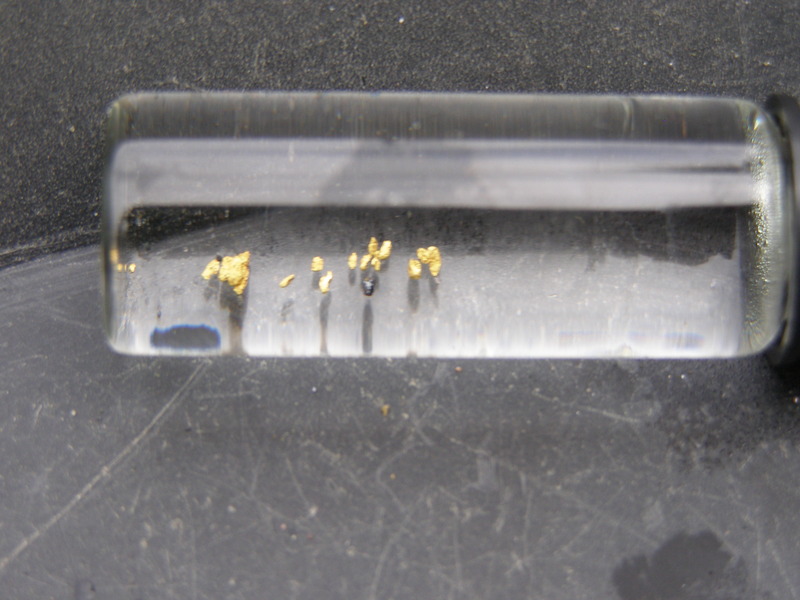 We spent the afternoon test panning, I found a spot that had some gold. We were getting hungry so we packed it in, When we got out to the Jeep there was another prospector there at his vehicle as well, it was Bobby Freedom from Northeastern Gold Prospectors, it was nice to meet him in person. Bobby is a people person with a huge personality, he is a DJ and very funny. We went back to the cabin and had dinner and then I went back out on the river for some more panning until it got dark. There were a number of other prospectors out there sluicing and panning. I noticed a group up stream from me working fervently, I went over to see how they were making out, they were shoveling and filling 5 gallon buckets and then taking them up to their camp site to process. I could tell that they were very passionate about gold prospecting and very serious. I introduced myself and found that it was Randy and his dad Fred from the Northeastern Gold Prospectors and a couple of other guys that came with them. I also got to meet Alex and a few others. The following day we went up river and set up my combo and did some dredging I found a good deal of flour gold and a few larger pieces I still have some concentrates to go through which I want to run over a miller table, which I am in the process of building, to recover all the flour gold. I really liked the place and it will be a location that I will visit again. I know it doesn’t look like a lot of gold but the place has potential and we went home with gold.